Gallipolis Municipal Court recently received its mental health and drug court specialized docket certifications from the Ohio Supreme Court. 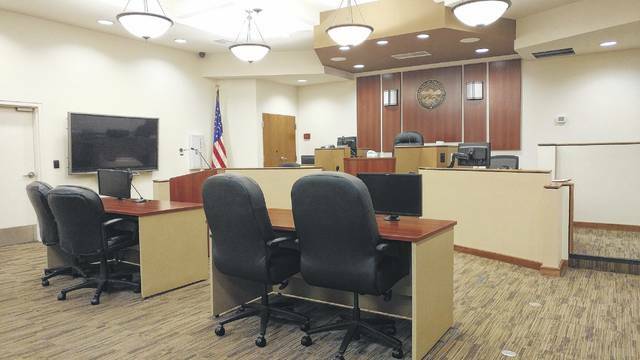 GALLIPOLIS — Gallipolis Municipal Judge Eric Mulford recently announced that the Drug and Mental Health Dockets of the Gallipolis Municipal Court have earned final certification from the Ohio Supreme Court’s Commission on Specialized Dockets. In order to receive the certification, the municipal court had to submit a detailed application, undergo a site visit, and provide specific program materials in response to certification standards that went in to effect in January 2014. Ohio Supreme Court Chief Justice Maureen O’Connor congratulated the Gallipolis Municipal Court and Judge Mulford for receiving final certification. Specialized dockets are courts that are dedicated to specific types of offenses or offenders and use a combination of different techniques for holding offenders accountable while also addressing the underlying causes of their behavior. There are more than 210 specialized dockets in Ohio courts that deal with issues such as drugs and alcohol, mental health, domestic violence and human trafficking. In order to be eligible for placement in the specialized drug docket in municipal court, the offender must be on probation for a misdemeanor; have no history of violence or sexually oriented offenses; be clinically diagnosed with a moderate to severe substance use disorder; and must voluntarily commit to completing the program. The treatment team for the Gallipolis Municipal Court drug and mental health dockets currently includes Health Recovery Services, TASC of Southeast Ohio, Wing Haven, Integrated Services, Field of Hope, Spectrum Outreach Services and Woodland Centers.